Fishing and I have not always gotten along. 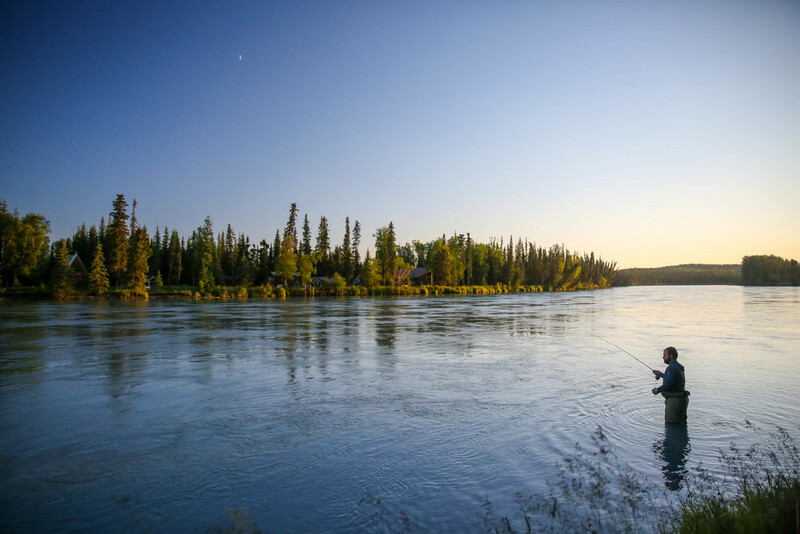 Growing up, my new-to-Alaska parents caught the fishing bug and spent the majority of summers dragging my sisters and me along riverbanks, gear in hand. There were the times we had to hike miles back to camp on empty stomachs after my Dad beached the boat or the many harrowing river crossings when they refused to pay for the Russian River Ferry. Today, I might consider these expeditions adventurous, but for a little girl who would rather pee her pants over a chance encounter with a bear while peeing in the woods-- fishing was an exercise in torture. My sister and my dad, circa 1997. It didn't help that I hated the taste of salmon. Therefore, every salmon caught represented another dinner that I would have to sit through, miserable and on the verge of tears while begging my parents for Mac & Cheese that would never come. But something has changed for me now that I'm older. I am no longer terrified of enjoying the Great Outdoors and I've developed a love for living off the bounty of the land. Blueberries in the fall, herbs from the garden, and fish from Alaska's waters-- even if all of these things can be purchased for less time and money at Costco. Last week I went dipnetting for the first time. The 4 AM wake-up call and boat traffic jams were a new experience, and one that I think I would gladly take over combat bank-fishing. 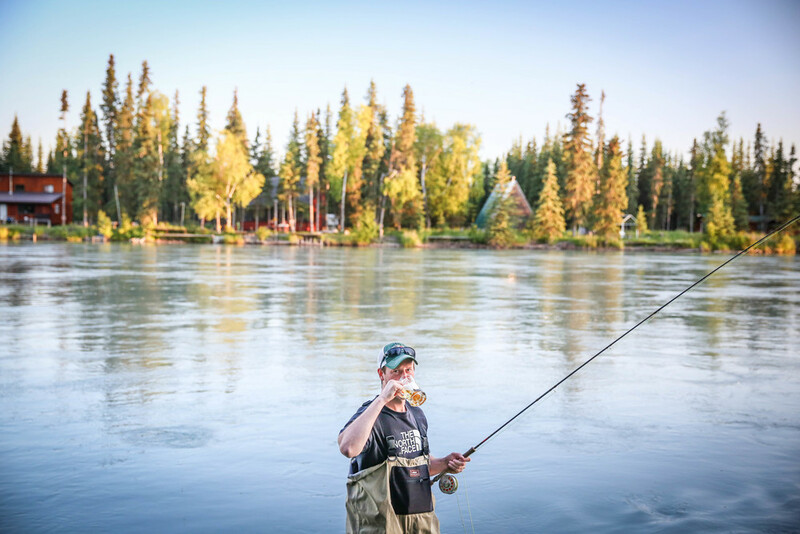 Another change in my fishing attitude came quite recently, when a great friend let us use her family’s Kenai cabin following our wedding. I finally understood why people described fishing as tranquil. Except for the occasional boat passing by, we were the only ones on the river. 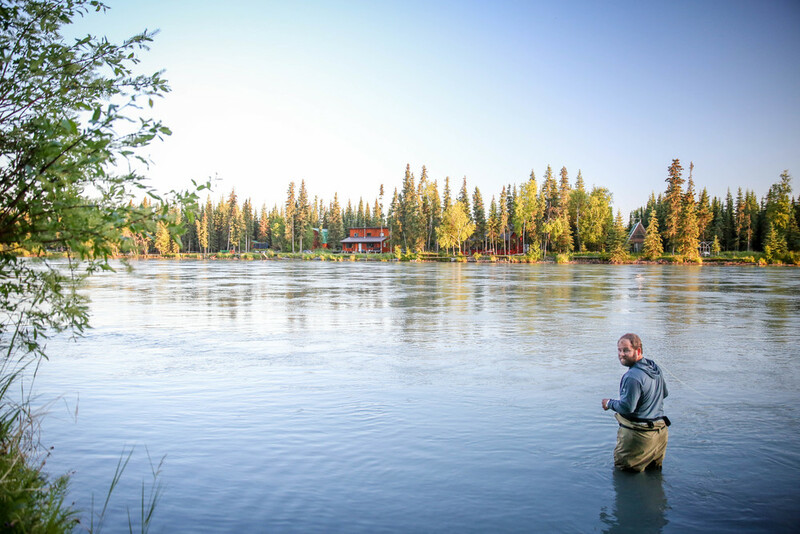 Their property stretches right to the riverbank, and a speaker system plays music while you fish. 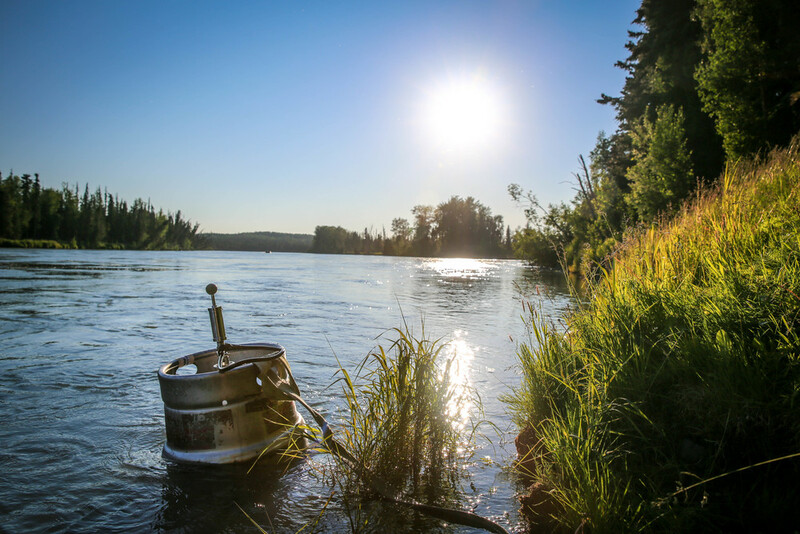 It was actually quite relaxing, and even fun—though I’m sure it didn’t hurt that we put the leftover wedding keg right in the water to cool down. My dear friend Sarah and her husband Tom joined us at the fishing cabin. Fishing is fun when you’re catching them. Each tug on the line or net is a new burst of endorphins. But I think the lesson in fishing that I couldn’t understand when I was younger is that it is also fun when you’re not catching them. 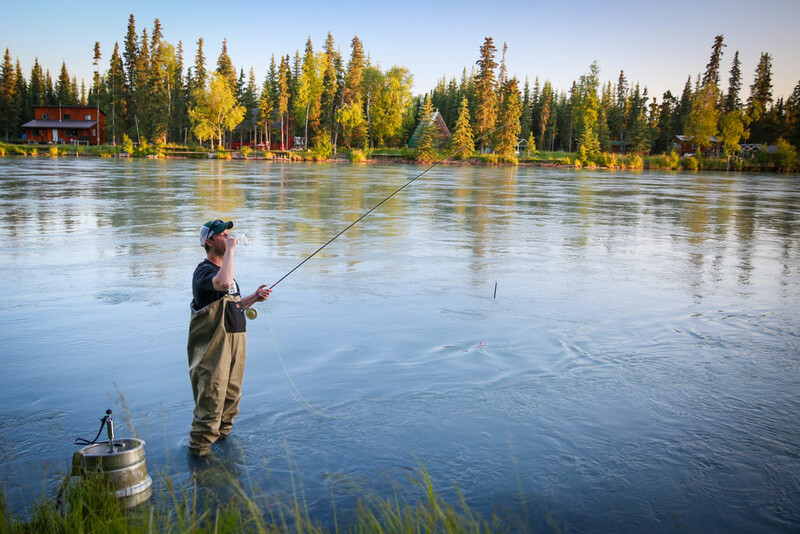 Fishing allows you to get outside... to take a break from the multitude of glowing screens in our modern lives. (Which was torture during my Sega Game Gear days.) 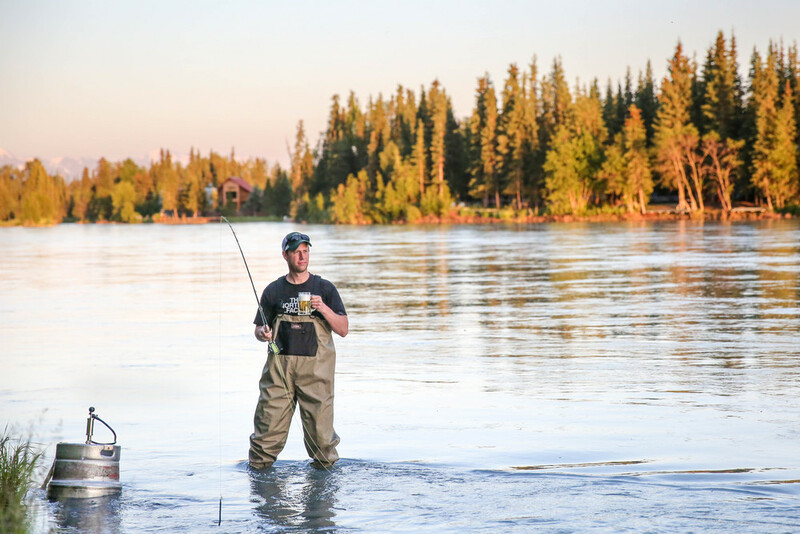 It also allows for quality time with friends and family, who will develop closer relationships from close calls with fishing hooks and netting teamwork. I think I will probably torture my future children with the same lessons. 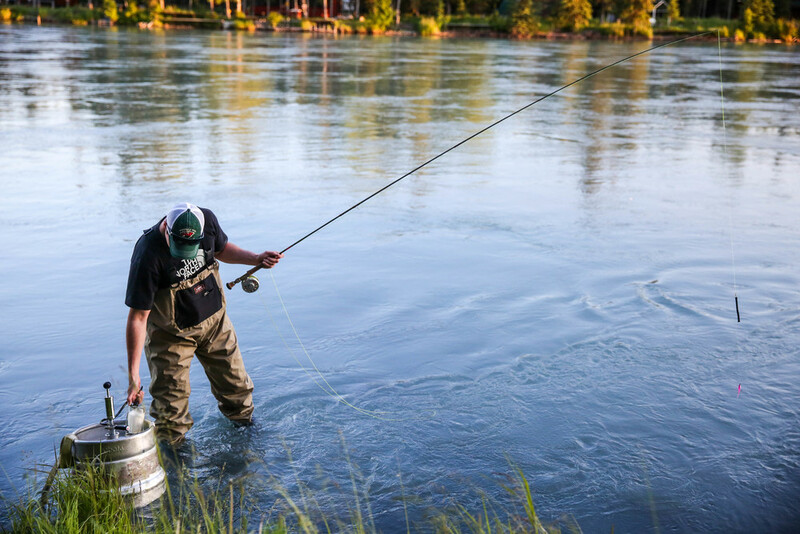 If we're lucky, we will have salmon to cook up at the end of the night. But if not, we will share our fishing tales over steaming Mac & Cheese.